For more than 90 years, The Walt Disney Company has been the preeminent name in the field of family entertainment; the Disney name has symbolized creativity, innovation, trust, decency, optimism and quality. The Walt Disney Company is the world's biggest family entertainment company powered by the biggest brands in storytelling: Disney, Pixar, Marvel, ABC, ESPN and Lucasfilm. Disney Channel is a 24-hour kid-driven, family inclusive television network that taps into the world of kids and families through original series and movies. The channel features animated series, sitcoms and dramas such as Girl Meets World, KC Undercover, Liv and Maddie and Austin & Ally. Disney Channel also features Disney Channel Original Movies such as Descendants and Teen Beach 2, and classic Disney animated movies. In Australia, Disney Channel launched in 1996 and is distributed on all major pay TV platforms including FOXTEL. Disney XD launched on Foxtel in April 2014 and on SKY NZ in December 2014. Disney XD features a compelling mix of live-action and animated programming, including new content from Marvel and Lucasfilm. Key programs include animated comedies Gravity Falls, Star vs. The Forces of Evil, The Gamer’s Guide to Pretty Much Everything, and The 7D, as well as the animated Ultimate Spider-Man, Hulk: Agents of SMASH and Avengers Assemble from Marvel, and Star Wars Rebels from Lucasfilm. Disney Junior a 24-hour basic cable/satellite channel devoted to preschool-age children around the world – launched in Australia in May 2011. Disney Junior encourages preschoolers to imagine and learn through original series like Doc McStuffins, Sofia the First, Jake and the Never Land Pirates, Mickey Mouse Clubhouse, Sheriff Callie’s Wild West and the recently-launched Miles from Tomorrowland, and short-form and acquired programming that includes song, movement and entertainment. Disney Channel, Disney XD and Disney Junior have a strong commitment to local production, which includes:Hanging With Adam and Ash – ASTRA Award-nominated short-form comedy block featuring local hosts; Guide To – Interstitials offering fun-filled direction on various topics and activities for kids; What A Life – Interstitials showcasing kids with family members who have unusual and exciting jobs; Squeak and Boo – Shorts airing on Disney Junior featuring puppet piglets who guide young viewers through the day. ESPN is the world’s leading sports entertainment company. 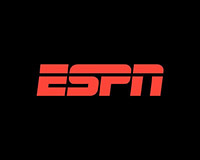 In Australia and New Zealand, ESPN operates the ESPN, ESPN2 and ESPN3 subscription television sports channels. ESPN’s digital network is Australia’s number one destination for online sport, comprising the sites ESPN.com, ESPNcricinfo, ESPNFC, ESPNfootytips, ESPNscrum and espnW. ESPN also operates the X Games and ESPN Films franchises. The sports schedule across ESPN channels includes NFL (including the Super Bowl), NBA basketball, Major League Baseball, ATP tennis, FA Cup, RBS Six Nations Rugby Union, MLS, AMA Supercross, World Series of Poker, as well as NCAA American college football and basketball and Summer and Winter X Games. Additionally, ESPN delivers high quality studio shows, “game around the game” coverage with shows such as SportsCenter, ESPNFC, Pardon The Interruption (PTI), NBA Tonight, NFL Live and SportsNation to name a few, all shows featuring both ex-players and experts in the field.